Howdy partner. 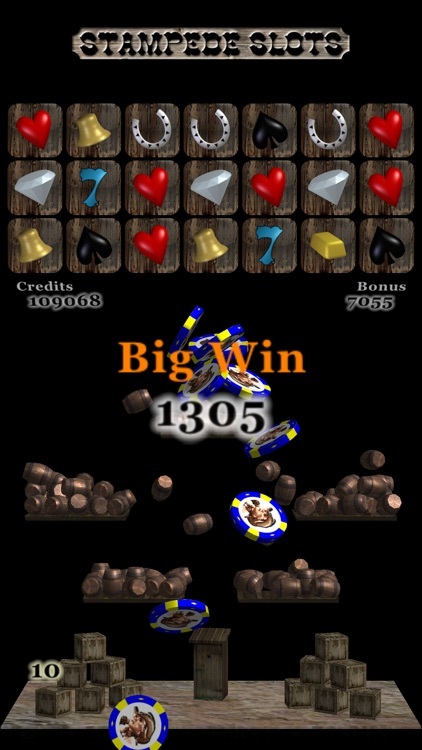 Introducing a new type of casino game. Two games really. 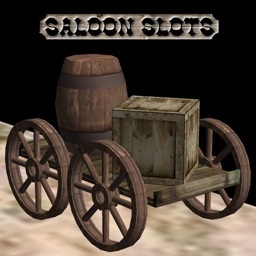 A traditional wild west themed slot machine, and a whisky barrel bonus game, all in one package. 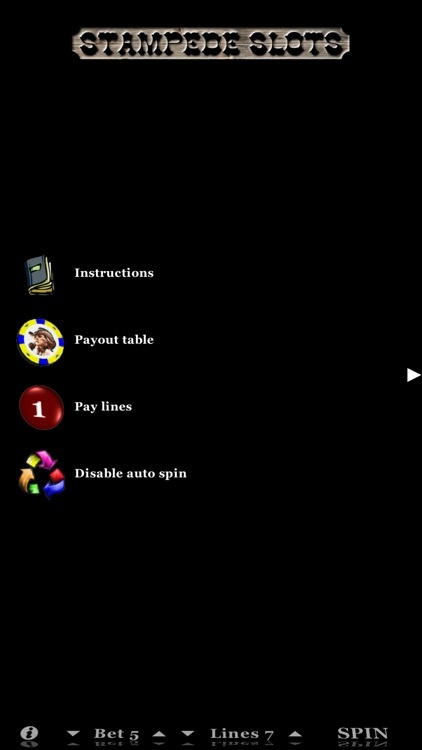 Choose your bet, up to 25 per line, choose your lines, and SPIN. Winning combinations win twice, once for the slots, then barrels seamlessly dropped to the bonus game. 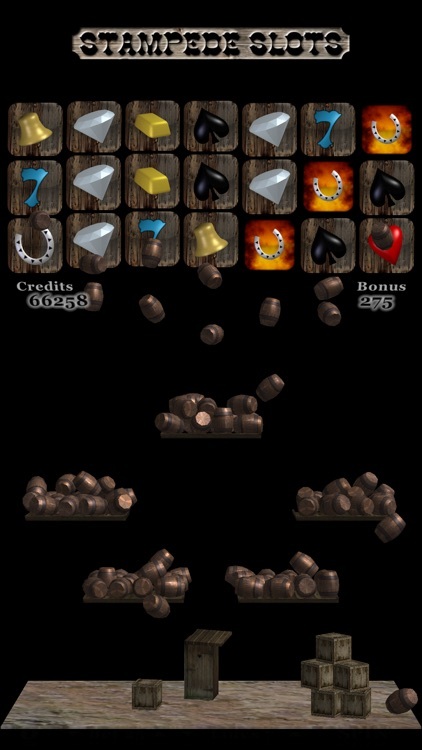 Each game operates independently, watch the barrels bounce and collide, ultimately destroying the crates and outhouse targets. While destroyed barrels give bonus credits, destroyed targets result in 5x bonus values. 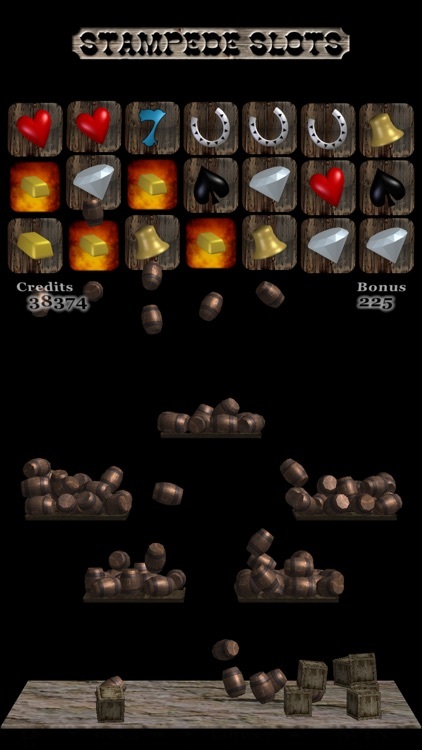 Destroy most of the targets to achieve a combination bonus, all targets are automatically destroyed, to be resurrected for another round. Spin as fast as you want to get as many barrels at once as possible, or enjoy watching each set of barrels finish their tumble. 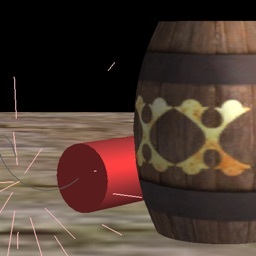 Massive barrel counts will revert to a slow motion mode permitting maximum barrel enjoyment. Have a fancy new iPad or iPhone 5? 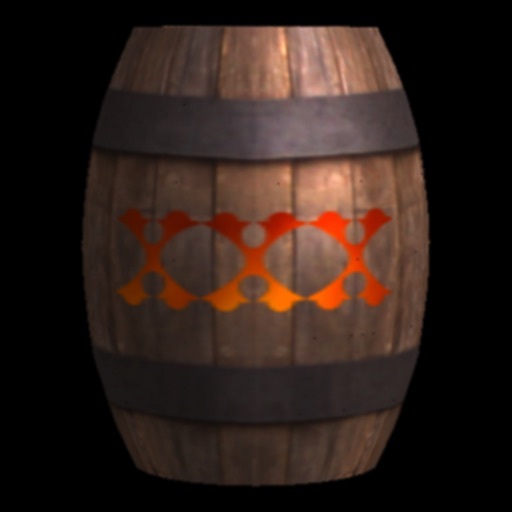 The whisky barrel bonus will use both processing cores, slow motion mode is now almost impossible. iPad, and Retina display optimized. No need to buy credits. Also available, Stampede Slots HD, a seven reel slot machine; Stampede Slots: Most Wanted, with five reels four simultaneous slot machines, and five progressive jackpots. Both with entertaining bonus games. 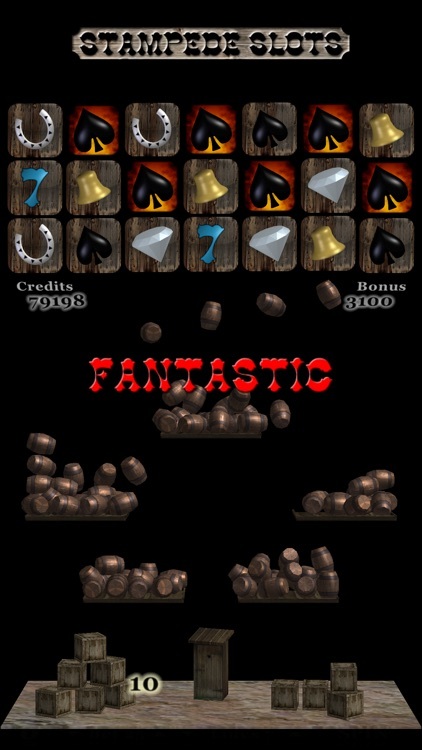 And, Stampede Slots Classic, a free teaser version with three reels. All for the iPad/iPhone. All with retina display support. All with game center.